Who said children are not interested in design! A treasure trove of goodies & pressies for babies & children. 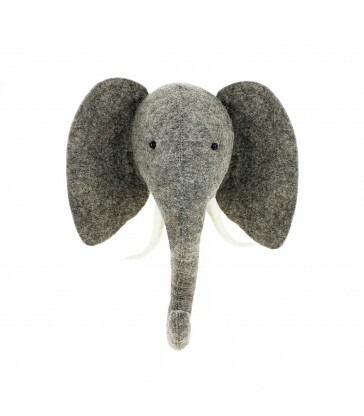 A felt elephant head with tusks. Perfect children's room décor for their walls. Brown felt with white tusks. Adding the finishing touch to you safari room décor. Wool felted baby mobile. Colourful felted hearts and flowers design. A lovely new baby gift for hanging over baby's cot. 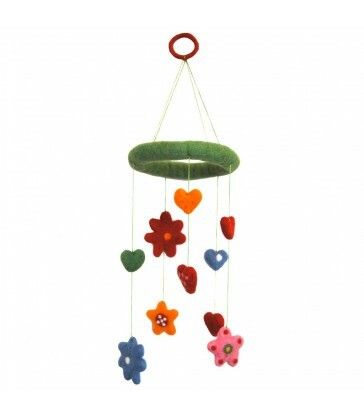 This felt flower mobile would make a playful addition to your baby's nursery. Forest Creatures, little bear, felted wool mobile. 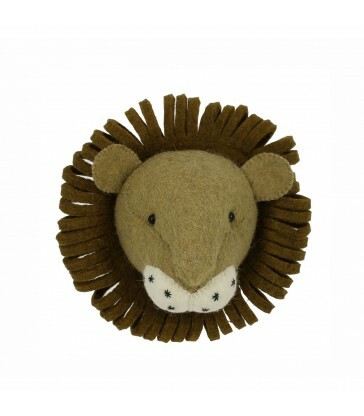 A lovely nursery decoration for your new baby's cot. A great gift for new babies too. 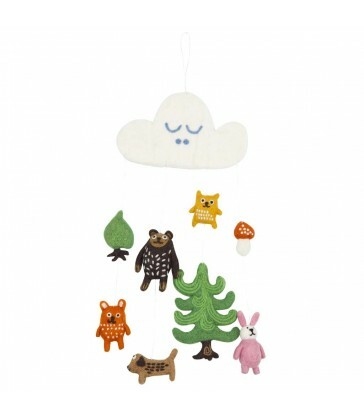 All the little forest animals hang from a wool felted sleepy cloud. 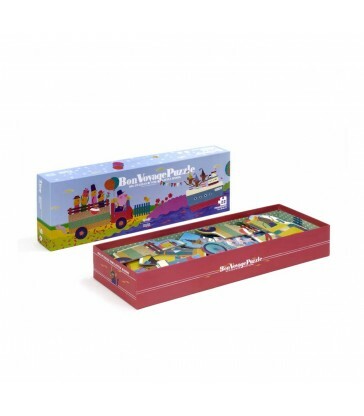 Pink rabbits, foxes, bears and big green trees all ready to entertain your little one. It's a baby unicorn! 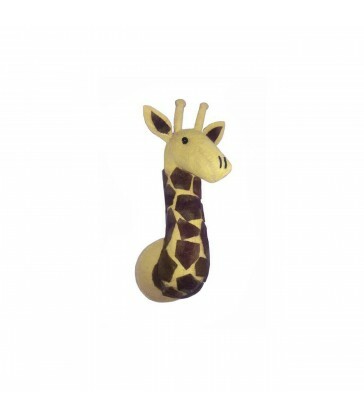 This cute mini felt animal head would look simply adorable in your new babies nursery. Great gifts for children. Woodland Friends felted baby mobile. A playful nursery decoration for baby boys and girls. 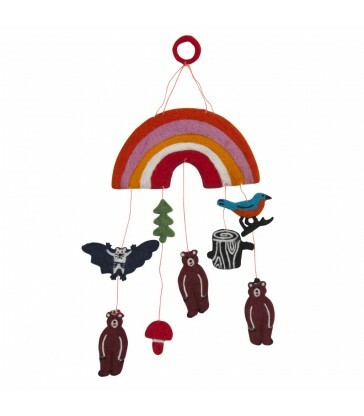 Cute woodland animals all felted by hand hang on the crib mobile all hanging from a colourful felt rainbow. 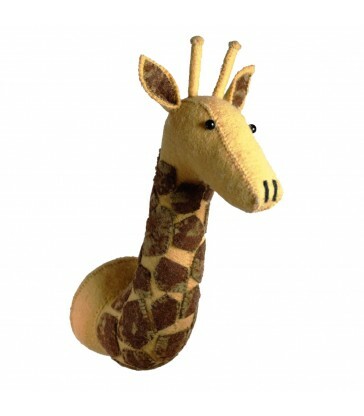 This felt giraffe head is the cutest wall décor for your child's room. 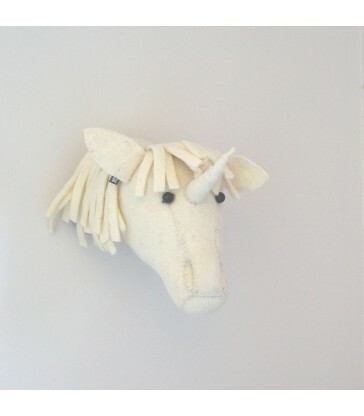 Create a display of felt animal heads from our collection. Perfect new baby gifts or for your little ones birthday. These colourful baby blankets are made from 100% cotton chenille. 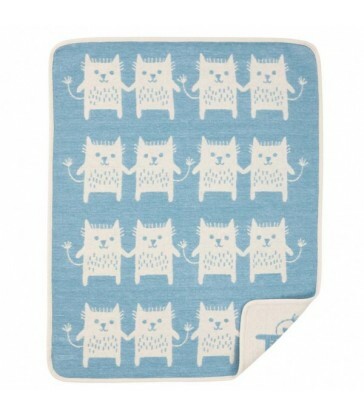 A soft, durable design perfect for your new baby. 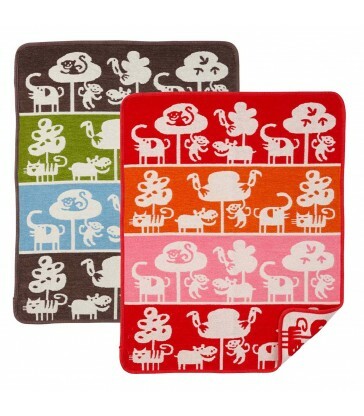 This playful jungle animal design comes in two colour ways. Either a bright red, orange and pink pattern or a darker blue, green and brown colour pattern. A great gift for a jungle animal baby shower.